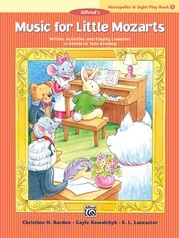 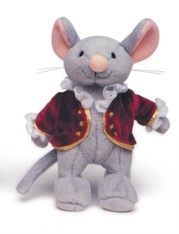 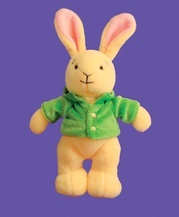 The adventures of Beethoven Bear and Mozart Mouse continue in this series of supplementary books written to correlate with the Music for Little Mozarts series. In Halloween Fun, Book 2, Clara Schumann-Cat helps Beethoven Bear, Mozart Mouse and J. S. Bunny create perfect Halloween costumes. 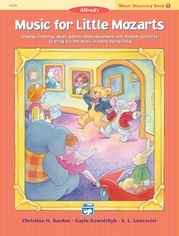 Students will enjoy the Halloween story with its related pictures, piano solo (with optional teacher duets) and activity pages. Many will also want to color the illustrations found throughout the story. 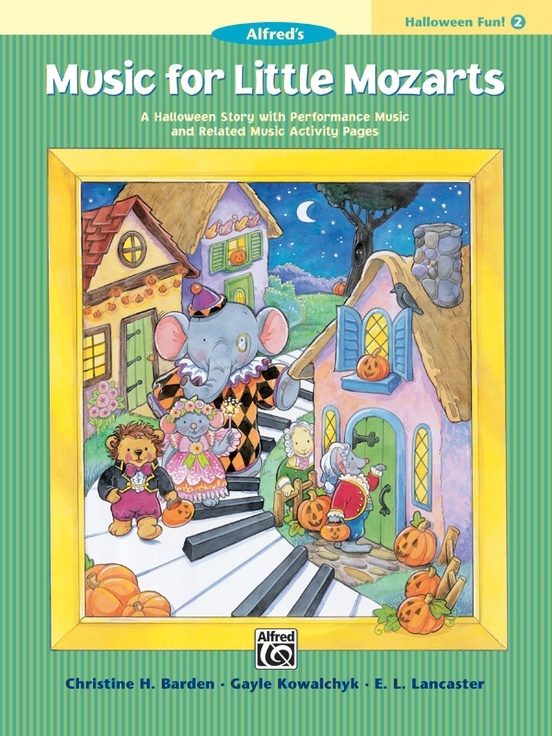 Use this book during the Halloween season while the student is studying pages 18-25 in the Music Lesson Book 2 or as a review anytime after page 25.